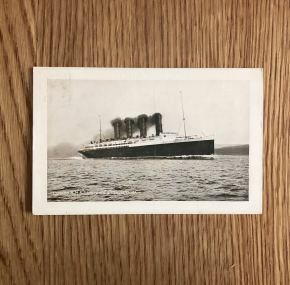 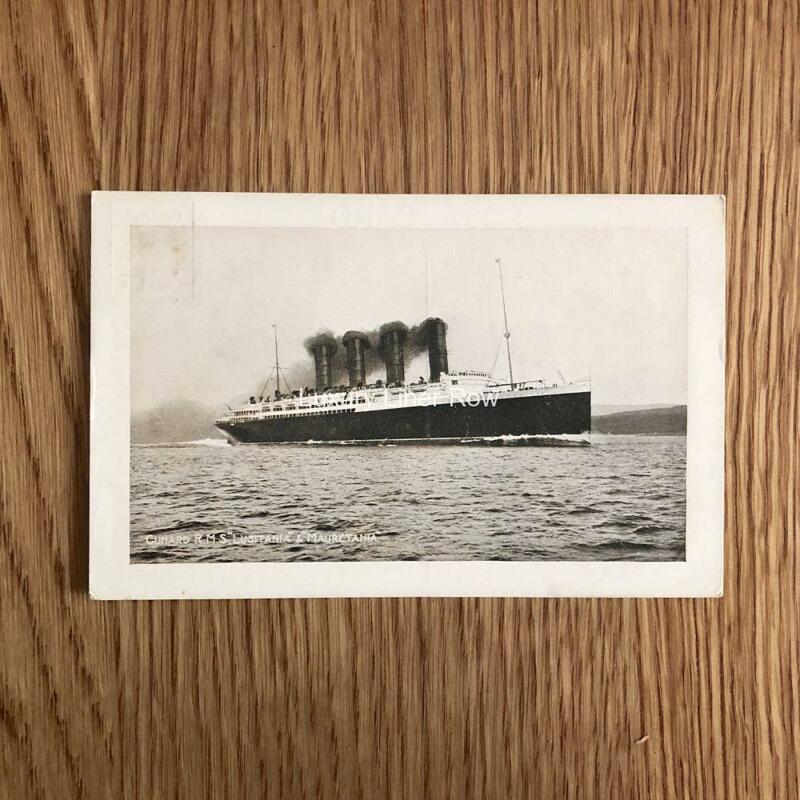 A printed photo card showing the RMS Lusitania on her trials with her splendid white-painted forecastle. 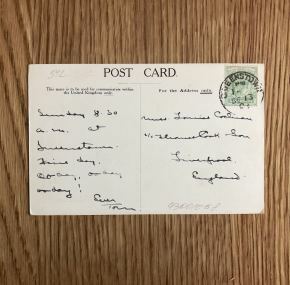 In very good condition and postmarked 1908. 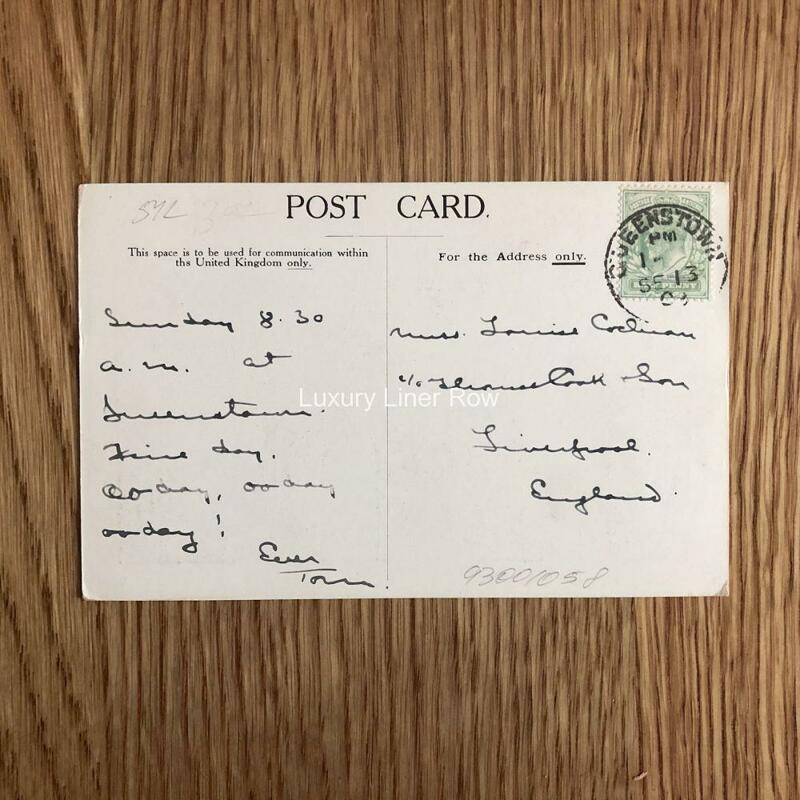 Message says that the writer has just arrived at Queenstown and that it was a fine day!